An area of low pressure is on its way frm the south to Iceland's south coast and will have arrived by midnight, accompanied by strong winds and heavy snow or sleet. 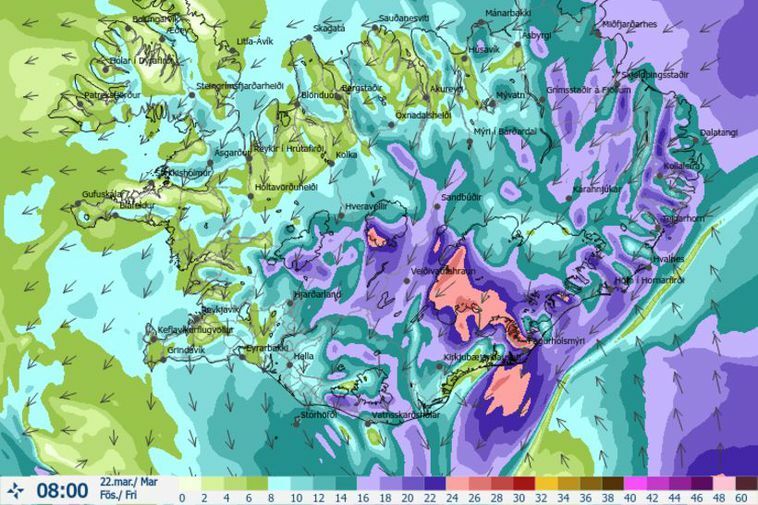 Tomorrow the weather will hit east Iceland and people should revise their travel plans as roads could close in those parts. Please check road.is and safetravel.is for more information.